A perennial wildflower, Geum urbanum is too straggly to draw attention to itself, but seen at close quarters the flowers and later the burr-like seedheads are very attractive. Plants are upright and wiry with slightly branching stems that are reddish on one side. The five-petalled yellow flowers of Wood Avens are 1 to 1.5cm in diameter and occasionally they are tinged with scarlet, but they are invariably well separated rather than growing in clusters. 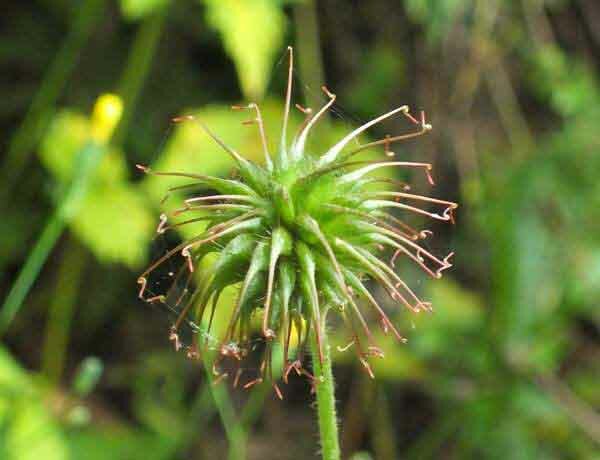 Seeds of Wood Avens (below) are burr-like and are distributed after being caught in the coats of rabbits and other furry animals. 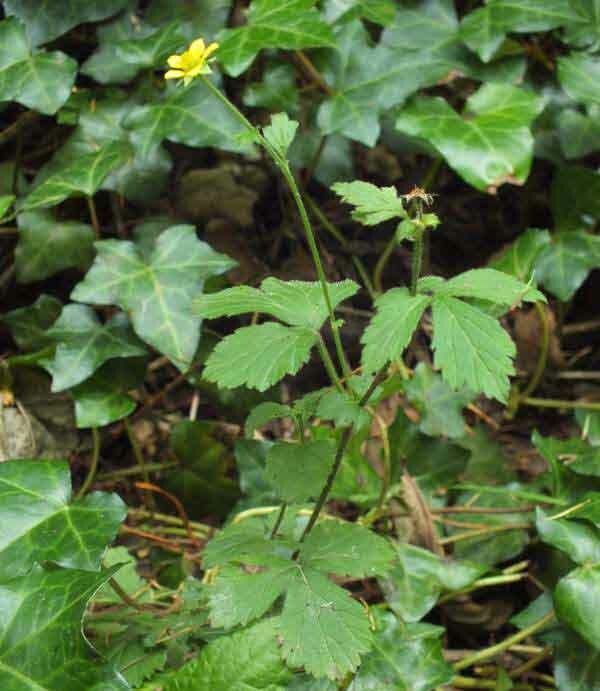 This plant is common throughout Britain (apart from northern Scotland, where it is scarce) and Ireland, as it is also throughout much of mainland Europe and northern Asia. We saw many of these plants in the Triglav National Park in Slovenia during visits in June 2011 and June 2014. Wood Avens favours shady placesbeside tree-lined country lanes, on the edges of woodland, and in drier land near the margins of well-shaded ponds and lakes. Its close relative is mainly a waterside plant, and where Wood Avens and Water Avens grow in close proximity they tend to hybridise. The specific epithet urbanum means 'of a city' (urban! ), and this is a very common 'weed' of cities, towns and villages. 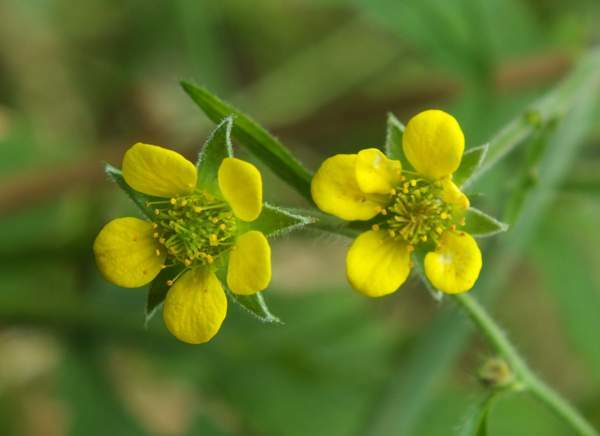 Geum urbanum is also referred to as Herb Bennet, a corruption of the Latin Herba Benedicta, meaning 'the blessed herb'; the aromatic roots of this plant, worn as an amulet, was thought to have the ability to ward off evil spirits and other dire threats.